Beauty will always enhance a playspace, because it draws people into a common area – and into an opportunity to socialize with fellow community members. 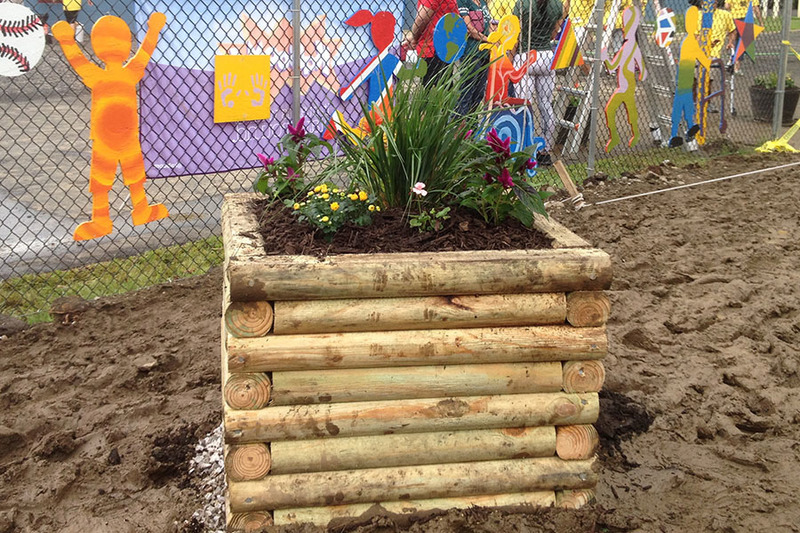 The planters also provide a unique opportunity for children to tend to a plant and watch it grow! Take  of the landscape timbers. Cut each into  31" pieces for a total of  31" landscape timber pieces. Take the remaining  landscape timbers. Cut each into  24" pieces, for a total of  24" landscape timber pieces. Sort (2) 24" and (2) 31" pieces. Nail together one course of the planter base using the 6" nails. One person should hold the 4x4 pieces in place to make sure they are properly squared while another person hammers in the nails at the points (•) indicated in the picture. Repeat step 2 for a total of (8) courses. Now it is time to nail the courses together. Alternate the 31" and 24" pieces for each level (see diagram). 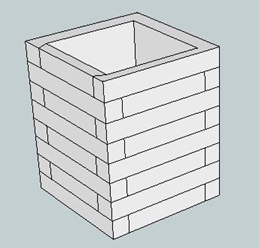 The final planter should be 8 courses high. Hint: You may want to pre-drill these holes to make the hammering go smoother. Position the planter in its final place. 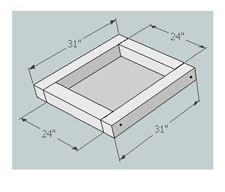 Fill the first ¾ of the planter box with fill material (peat moss, mulch, dirt, or rocks). 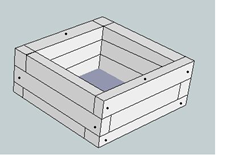 Then fill the rest of the box with potting soil and top it off with plants.